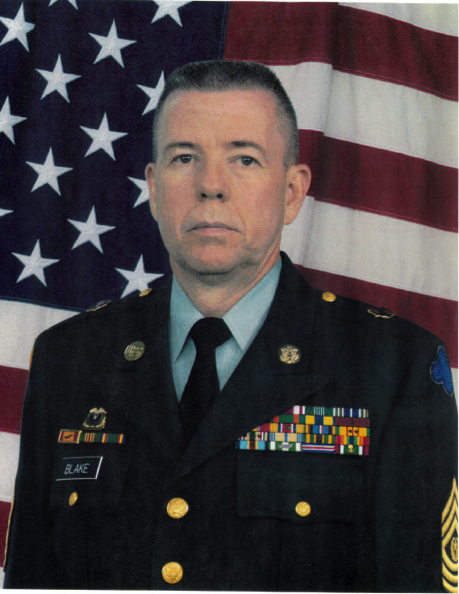 Command Sergeant Major Jerry O. Blake, U.S. Army (Retired) was born in Greenville, KY and entered the military service from Evansville, IN. He served in the Navy and Army as well as the combat theaters of Vietnam and Desert Storm. Highly active in the VFW he served as Post Commander, District Commander and State Commander. As State Commander he helped to coordinate veteran advocacy group activities working with the Indiana Department of Veterans Associations, State Service Offices, Point Man Ministries, County Service Offices and the Women Veterans Association in order to get veteran issues publicized and gain funding for support of Hoosier veterans. CSM Blake established the local chapter of Rolling Thunder, now the country’s largest. The chapter devotes its energy assisting veterans struggling with PTSD, feeding hungry veterans as well as providing clothing and shelter for veterans across central Indiana. Dale R. Crafton, Lieutenant Colonel, U.S. Army (Retired) was born in Greensburg, IN. The Silver Star was awarded to then Lieutenant Crafton who distinguished himself by heroic actions on 13 October 1966 while serving as a platoon leader with Company B, 2nd Battalion, 14th Infantry, 25th Infantry Division on a combat mission in a rubber plantation near Cu Chi, Republic of Vietnam. Under heavy fire, Lt. Crafton maneuvered his platoon against a series of heavily fortified enemy positions doing so with complete disregard for his own personal safety. He personally led his platoon in assaults on the positions exposing himself to intense enemy fire. As a direct result of his actions the enemy was defeated. Lt. Crafton’s display of professional leadership and personal bravery under fire is in keeping with the highest traditions of the military service. Before his retirement from active duty Lt. 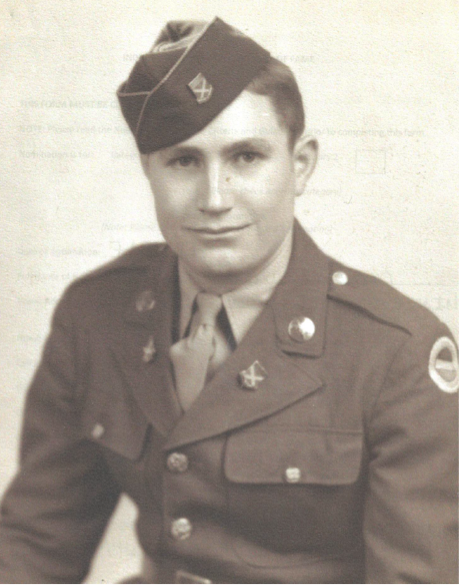 Colonel Crafton was awarded a second Silver Star, two awards of the Bronze Star (one for combat valor), two awards of the Purple Heart and numerous service and achievement awards. First Lieutenant George C. Ferkes of Noblesville, IN was awarded the Silver Star for distinguishing himself by gallantry in action in connection with military operations against an opposing armed force at Fire Support Base Fuller, Republic of Vietnam on 23 June 1971. On that date, Lt. Ferkes came to the aid of an allied unit whose base was being overrun by a numerically superior hostile force. Operating in a hostile environment and acting with complete disregard for his safety, Lt. Ferkes directed air strikes on the advancing hostile force inflicting heavy casualties and providing valuable time for the friendly unit to relocate to new defensive positions. His quick and heroic actions resulted in the saving of the lives of the friendly unit. His other decorations include the Defense Superior Service Medal, Legion of Merit, Distinguished Flying Cross, three awards of the Meritorious Service Medal, nine awards of the Air Medal and numerous service and campaign medals. 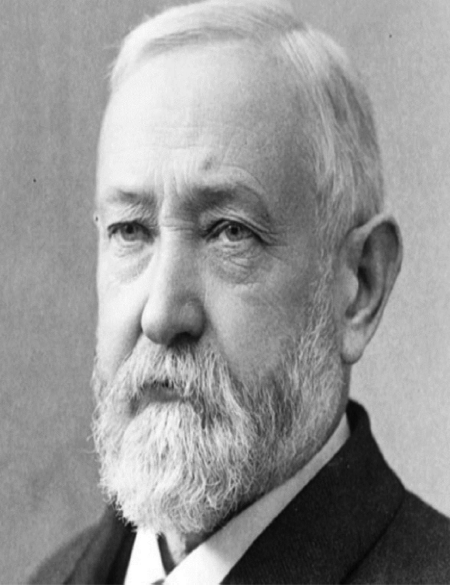 Benjamin Harrison was born in North Bend, OH but spent most of his adult life in Indianapolis making it his residence from 1854 – 1901. On 14 July 1862 he joined Company A of the Indiana 70th Regiment and spent his own funds to train the men in a camp on the west side of Indianapolis. He continued in command and was promoted through assignments at the company, battalion, brigade, division and corps level until his honorable discharge in the rank of Brigadier General on 8 June 1865. After his discharge in 1865 he returned to Indianapolis to practice law. In 1889 he became the twenty-third President of the United States and in 1901 was appointed to the International Court at The Hague. Among his accomplishments was the modernization of U. S. sea power, opening of national parks (including Yosemite) and caused legislation to be passed providing pensions for minors, dependent parents and widows of military veterans. Colonel James H. Kasler is the only person to ever be awarded the Air Force Cross three times. Colonel Kasler fought in WWII, Korea and Vietnam. In Korea he was recognized as an “Ace” for the downing of six MIG-15s. Extracting from one of his Air Cross citations it reads: The President of the United States takes pleasure in presenting the Air Force Cross to Major James Kasler, United States Air Force, for extraordinary heroism in connection with military operations against an opposing armed force as pilot of a F-105 Thunder Chief with the 354th Tactical Fighter Squadron, 355th Tactical Fighter Wing, Tuy Hoa Air Base, Republic of Vietnam in action over Hanoi, North Vietnam on 29 June 1966. Despite a seemingly impenetrable canopy of bursting projectiles thrown up by hostile defenses of a key petroleum storage complex, he led his followers to place their ordinance directly on target. Major Kasler personally destroyed five trucks before low fuel reserves forced his withdrawal. 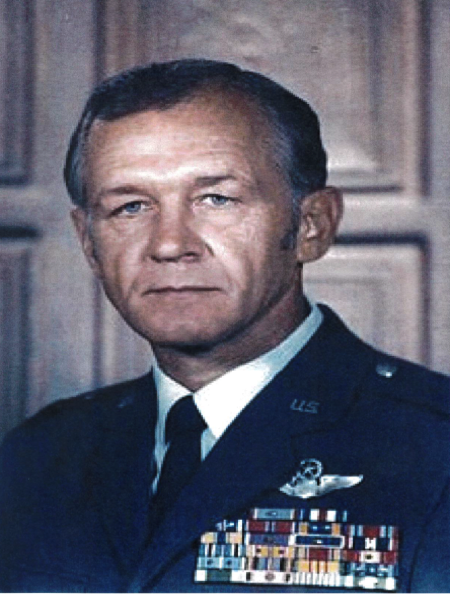 Colonel Kasler’s decorations include three Air Force Crosses, two Silver Stars, the Legion of Merit, nine Distinguished Flying Crosses, two Bronze Stars, two Purple Hearts and eleven Air Medals. Bud Mahurin grew up in Ft. Wayne, IN and was commissioned into the Army Air Corps deploying to the European Theater in January 1943. On 4 October 1943 while serving as pilot of a P-47 Thunderbolt he was recognized for extraordinary heroism in connection with military operations against an armed enemy and was awarded the Distinguished Service Cross. While over enemy occupied continental Europe, while serving as flight leader on a mission escorting withdrawing bombers, and though confronted with a superior number of enemy aircraft and at a significant disadvantage, he vigorously and aggressively attacked the enemy destroying two planes and caused the dispersal of the enemy formation. Immediately thereafter Captain Mahurin chased an enemy fighter far into Germany where he destroyed it. 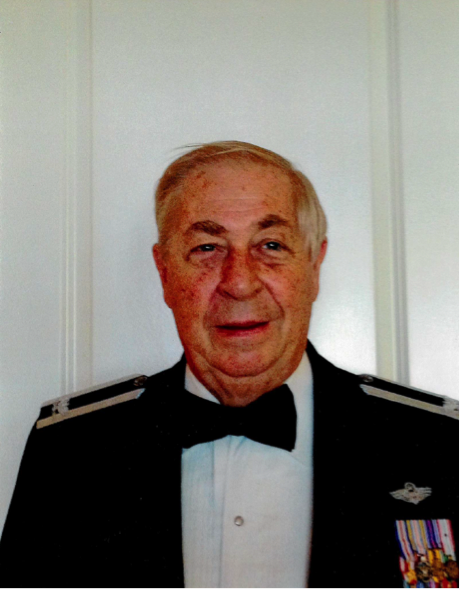 In addition to the Distinguished Service Cross and before retiring from the United States Air Force in 1956, Colonel Mahurin was also the recipient of the Silver Star, thirteen awards of the Distinguished Flying Cross, the Purple Heart, twelve awards of the Air Medal and the Prisoner of War Medal. Bud Mahurin is credited with downing 24 enemy planes, while serving in both WWII and Korea, making him one of the leading American Aces of his generation. Lieutenant General Thomas M. Montgomery was born and raised in Indianapolis. He entered the Army in 1963 and retired thirty-four years later. 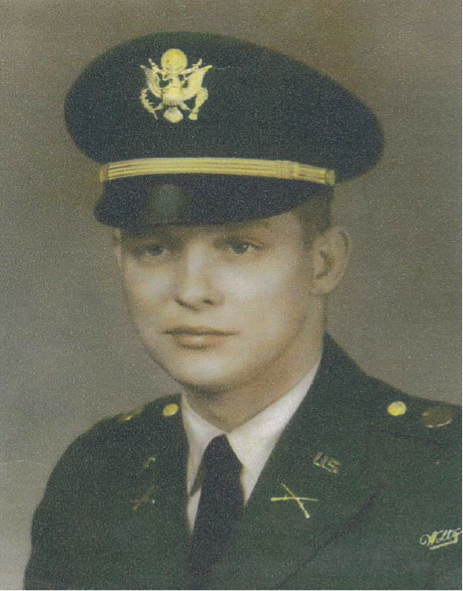 Captain Montgomery was awarded the Silver Star for actions on 26 February 1969 while serving as a Company Commander with the 11th Armored Cavalry Regiment in the Republic of Vietnam. Captain Montgomery led his troops against a well-fortified enemy firing small arms, automatic weapons and rocket propelled grenades. Captain Montgomery directed his tank to a position between one of his tanks, that had been hit by an RPG, and the enemy thereby allowing the wounded members of the crew to be evacuated to safety. Although his tank was also hit by an RPG it was not disabled and after the wounded had been evacuated he led his remaining company in a successful assault of the enemy positions. 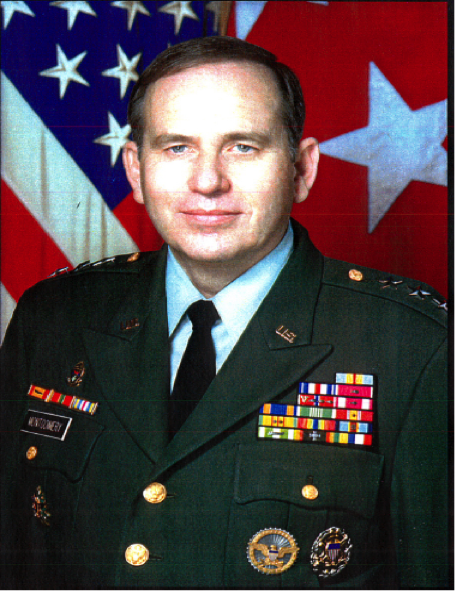 General Montgomery’s awards and decorations also include three awards of the Defense Distinguished Service Medal, Army Distinguished Service Medal, three awards of the Legion of Merit, four awards of the Bronze Star (one with a combat valor device), three awards of the Meritorious Service Medal, the Air Medal, the Army Commendation Medal and numerous service and campaign medals. Larry Moore was born in New Harmony, IN. He enlisted in the Army in 1958 and attended Officer Candidate School. 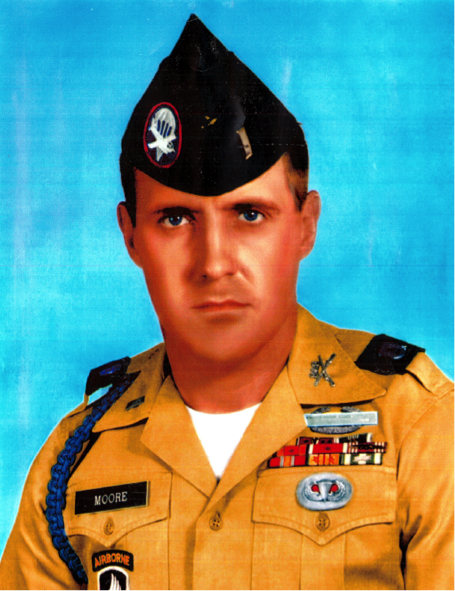 As a First Lieutenant on operations in the Republic of Vietnam he was twice awarded the Bronze Star for Valor, twice awarded the Army Commendation Medal for Valor, twice awarded the Purple Heart and from the Republic of Vietnam he was awarded the Vietnamese Cross of Gallantry Individual Award. The following is extracted from one of his citations: First Lieutenant Moore distinguished himself by exceptionally valorous actions on 23 November 1967 in the Republic of Vietnam. Lieutenant Moore continually moved among his men instilling courage and confidence as they advanced toward their objective. He successfully directed his platoon to the objective while under mortar and automatic weapons fire. Lieutenant Moore single-handedly advanced upon and destroyed an enemy bunker concealing enemy riflemen. 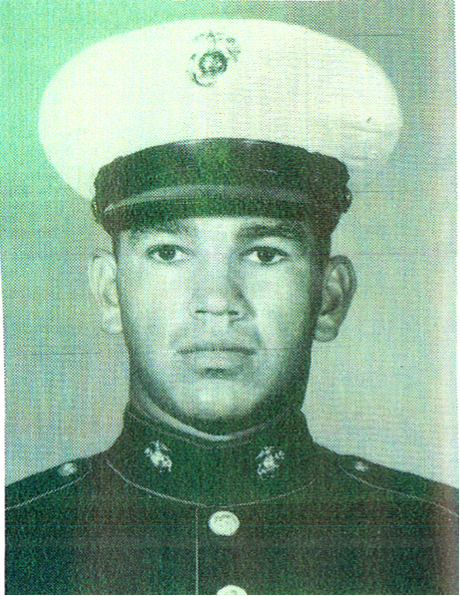 Private First Class William H. Myers was awarded the Navy Cross for extraordinary heroism in action as Assistant Gunner for the first machine-gun team, Third Squad, Company D, First Battalion, Fifth Marines, in the Republic of Vietnam on 12 May 1967. As his gun team was maneuvering to provide flanking fire on entrenched enemy soldiers his company came under intense fire and his gunner was instantly killed. PFC Myers unhesitantly picked up the machine gun and moved to a position to deliver enfilade fire upon the enemy trench works. His deadly fire and accurate aim caused numerous casualties and created untold confusion in the ranks of the enemy. When his ammunition was expended he ran across an open paddy to the body of his fallen gunner and recovered the machine gun ammunition which the gunner had been carrying. Through heavy enemy fire he fearlessly returned to his machine-gun and continued to provide enfilade fire on the entrenched enemy. After many minutes of providing fire on the enemy he was located by them and they began to direct sniper fire on him. He was hit by enemy fire and was mortally wounded. His steadfast devotion to duty served to inspire the entire company, which then rallied and drove the enemy from its almost impregnable position. Walter Palmer was an original Tuskegee Airman. He flew a total of 158 missions, with the famed 99th Fighter Group, accumulating 410 combat flying hours. On 18 July 1944 he was credited with an aerial victory by shooting down a German ME-109. Governor Bayh awarded him the Sagamore of Wabash and the Army Air Corps awarded him with numerous Air Medals as well as service and campaign medals. President George W. Bush presented Mr. Palmer with the award of the Congressional Gold Medal. After leaving the military and for the rest of his life Mr. Palmer spoke to school audiences across the state and nation about his experiences as a Tuskegee Airman and WWII. His theme throughout his speeches was to always do the best you can do and success will follow. In 1993 his book “Flying with Eagles” was published. 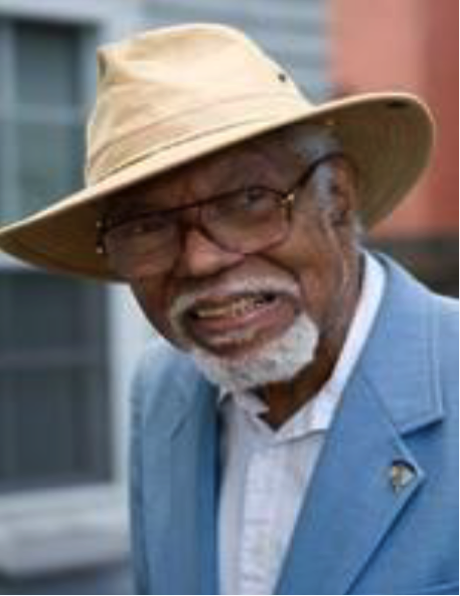 He was a lifetime member of the Tuskegee Airman Association; a member of the P-51 Pilots Association and President of the Tuskegee Airman Indianapolis Chapter. Captain Philip W. Patrick was awarded the Silver Star for gallantry in action while engaged in military operations against an armed hostile force in the Republic of Vietnam while commanding Company B, 1st Battalion, 12th Infantry, 4th Infantry Division. On 31 May 1969 Captain Patrick’s company encountered a numerically superior enemy force. Although severely wounded in the initial contact, Captain Patrick repeatedly exposed himself to the intense barrage to adjust artillery and close air support. His calm actions under extreme stress enabled his unit to rout the enemy force. On 13 February 1970 Captain Patrick was honorably and medically retired. In addition to the Silver Star, Captain Patrick also received four awards of the Bronze Star (three with a valor device), three awards of the Purple Heart, the Air Medal and numerous other service and campaign medals. Nick Popaditch was born in East Chicago, IN and grew up in Terre Haute, IN. He enlisted in the Marine Corps in 1986 and served as a tank commander rising to the rank of Gunnery Sergeant before being honorably discharged in 1992. 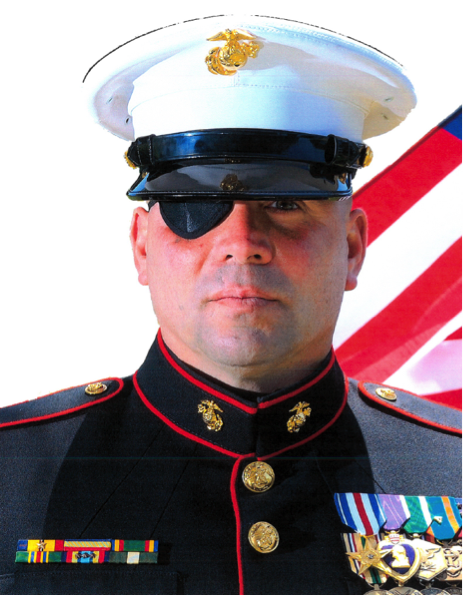 He rejoined the Marines Corps in 1995 and served as a drill sergeant at the Marine Corps Recruit Depot San Diego. During Iraqi Freedom, and for his actions from 6-7 April 2004, GySgt Popaditch was awarded the Silver Star. While assigned as a Tank Platoon Sergeant with First Platoon, Company C, First Tank Battalion, First Marine Regiment, First Marine Division in Al Fallujah, Iraq, his company came under heavy enemy fire. He led his tank section several blocks into the city, drawing fire away from the beleaguered Marines. Acting as a forward observer Gunny Popaditch directed artillery and air firepower on the enemy until the enemy was destroyed. He also moved his tank forward to draw the enemy from their covered and concealed positions allowing airpower to strike them. Blinded and deafened by an RPG blast he remained calm and continued to direct his men. Justice Robert D. Rucker, Jr. was born in Canton, GA, moved to Gary, IN in 1961 and has lived in Indiana since then. 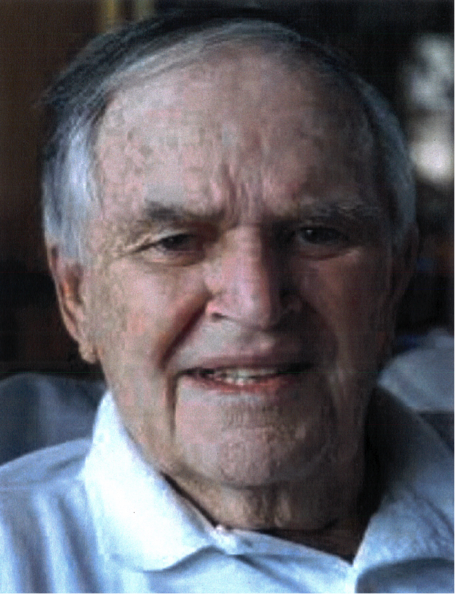 He served in the Army from 1966 – 1968. 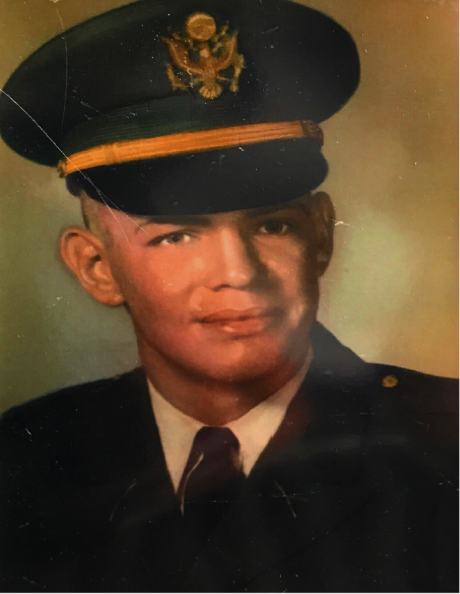 Justice Rucker served one tour in Vietnam with the 1st Cavalry Division and after returning to Indiana entered Indiana University receiving his Bachelor of Arts degree in 1974 and a law degree from Valparaiso School of Law in 1976. He also earned a Masters of Law degree in Judicial Process from the University of Virginia in 1998. During his tour of duty in the Republic of Vietnam he was twice wounded and awarded the Purple Heart as well as the Bronze Star Medal. In 1994 Governor Evan Bayh appointed Justice Rucker to the Indiana Court of Appeals. Several years later, Governor O’Bannon named Justice Rucker as the 105th Justice of the Indiana Supreme Court. 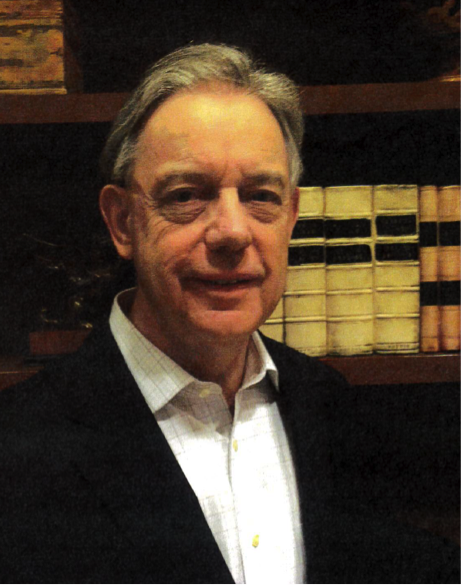 He served over 26 years on the Appellate Bench in Indiana and authored over 1,000 opinions. 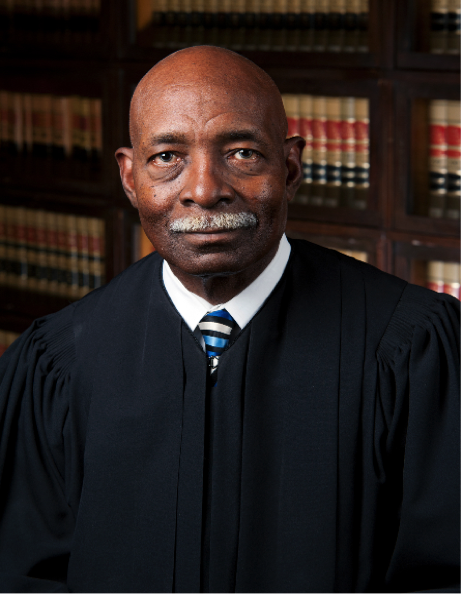 To quote another Supreme Court Justice, “From Vietnam to the Indiana Statehouse Justice Rucker’s career has been one of stellar service, uncompromising integrity and steadfast commitment to what is right and just.” Justice Rucker has given a lifetime of service to the public and his country, both in fatigues and a robe. Richard M. Storm was born in Beech Grove, IN. He enlisted in the U.S. Army and attended Officer Candidate School and was commissioned as a Second Lieutenant. 2LT Storm attended Rotary Wing Flight School and served in the Republic of Vietnam with the 1st Cavalry Division and retired as a Lieutenant Colonel in the Medical Corps. While serving in Vietnam as a 1LT Richard Storm distinguished himself by exceptionally valorous action on 3 September 1969 during an extraction mission for which he was awarded the Distinguished Flying Cross. Flying through deteriorating weather in an attempt to extract a badly mauled friendly unit, 1LT Storm landed in a hastily prepared landing zone and began loading the first sortie when the enemy opened fire on the operation. He quickly took to the air and flew the men to a safe area. Then he returned to the enemy infested area and to the remaining men. Upon landing the second time, a heavy attack began again. 1LT Storm stayed in the contact area until all the men were aboard then skillfully maneuvered his aircraft to safety. Richard Storm was also awarded the Bronze Star, the Air Medal and a second Distinguished Flying Cross for action seven months later and, additionally, numerous service and campaign medals. Fred Taylor was born in Galveston, IN. He enlisted in the Army and served in the Republic of Vietnam with the 1st Cavalry Division. He was awarded the Purple Heart for combat wounds on three occasions. After being medically retired, Fred Taylor has devoted his life to the service of military veterans across the U.S. Governor Mike Pence awarded the Sagamore of the Wabash to Fred Taylor in 2016 for his work across the State of Indiana. He was selected as the United States’ delegate to the World Veterans’ Federation which met in Paris, France in 2000. Also in 2000, he was elected National Commander of the Purple Heart organization to represent the interests of America’s combat wounded veterans to the nation, Congress and the White House. For his work for veterans in Florida, Tennessee and Kentucky he has been recognized by the Governors of those states to receive their highest awards of recognition: the Tennessee Colonel, the Kentucky Colonel, and the Florida Veteran’s Medal. 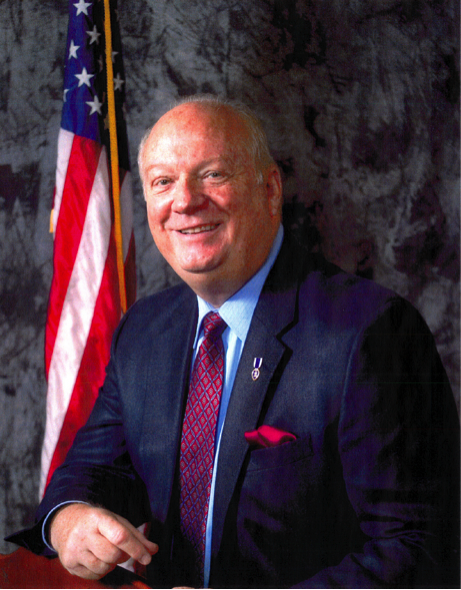 Fred Taylor led efforts that were eventually successful and in 2007 the Postmaster General, John Potter, recognized him for his work to establish the Purple Heart Stamp. In 2009 the National Infantry Association presented Fred Taylor with the Order of Saint Maurice Medallion for his lifetime achievements on behalf of veterans.